Staying on track on your weight loss journey requires us to stay strong in the Lord, and inspirational Christian songs are a wonderful way to keep us encouraged and inspired. The right inspirational Christian song at the right time can lift our spirits, deliver a powerful word from the Lord; it can usher you into the presence of the Lord when nothing else seems to work, and it can take your worship to the next level. That’s the power of music! During our Weight Loss, God’s Way 21-Day Challenge, we starting closing out each session with a prayer and a song. In the challenge, each day of the challenge addresses a different topic associated with your weight loss journey so we decided to include a powerful song each day to uplift and inspire us. The women were so deeply moved by the songs so I’m sharing a few of them with you. 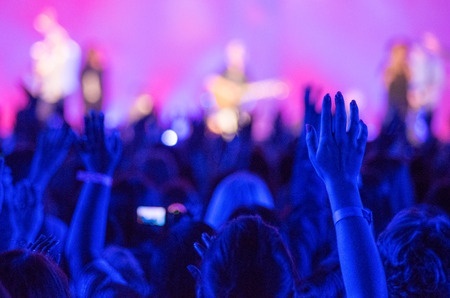 These inspirational Christian songs minister to us in a variety of areas related to weight loss challenges such as submission, overcoming our strongholds, understanding who we are in Christ, understanding God’s power, grace and love, and about finding strength on the journey—all topics we cover in the 21-Day Weight Loss, God’s Way Challenge. Here is a list of 10 inspirational Christian songs to encourage you on your weight loss journey.